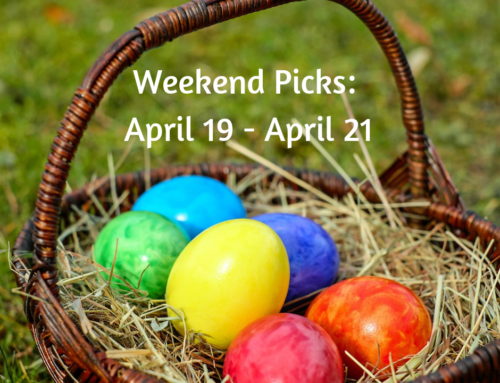 There are fun events for both adults and kids this weekend in Bucks County. Here are our picks for January 25 through January 27. You can always find even more things to do by visiting our Events Calendar . When: Saturday, January 26 from 11 a.m. to 1 p.m.
Do your kids love Thomas? Bring them to the 2nd floor of Fallsington Library for Thomas Day! They can play with Thomas trains, make a bookmark and check out the Train Club’s electric Thomas trains. Free for all ages. When: Saturday, January 26 from 8:30 a.m. to 10 a.m.
Sky Zone is hosting a special dinosaur-themed toddler time with crafts, storytime and more. This event is limited to children that are walking and up to 5 years old. Cost is $10 per jumper plus $2 Sky Socks. Get tickets here. When: Saturday, January 26 from 11 a.m. to 2 p.m.
Primp & Play is a relaxing kid-friendly spa where guests of all ages can enjoy a variety of spa treatments such as facials, manicures, pedicures and massages. Families can enjoy these services together, or kids can take a supervised art class while parents get pampered! Come check it out during the Grand Opening Party! There will be complimentary crafts and tattoos and kids and some fun things for adults, too. Beauty, Booze, Botox, and Shopping! When: Sunday, January 27 at 3 p.m.
Visit Witt Pilates for a fun afternoon of botox and beauty treatments, shopping with vendors and a drink with the girls. Dr. Lori Gerber will be at the event offering free botox consults.